﻿ Sea Phoenix Da Nang Hotel (Vietnam) | FROM $21 - SAVE ON AGODA! 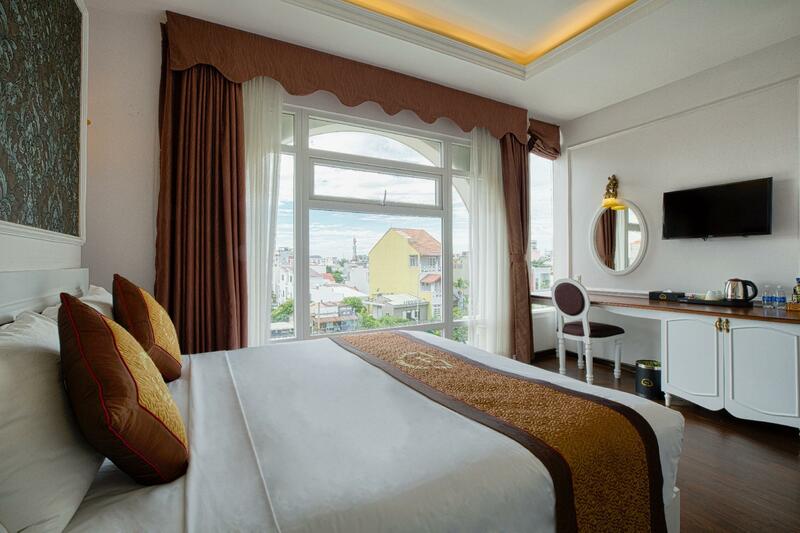 Have a question for Sea Phoenix Da Nang Hotel? "Efficient staff and tremendous service"
"This hotel located near beach and near Casino." 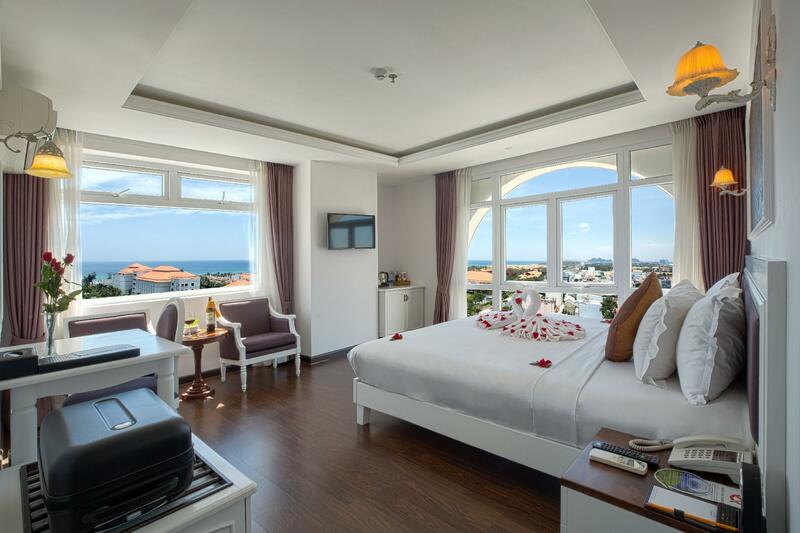 Nestled in the heart of Phuoc My, Sea Phoenix Da Nang Hotel is an ideal spot from which to discover Da Nang. The hotel lies 5 km from the city center and provides accessibility to important town facilities. With its convenient location, the hotel offers easy access to the city's must-see destinations. 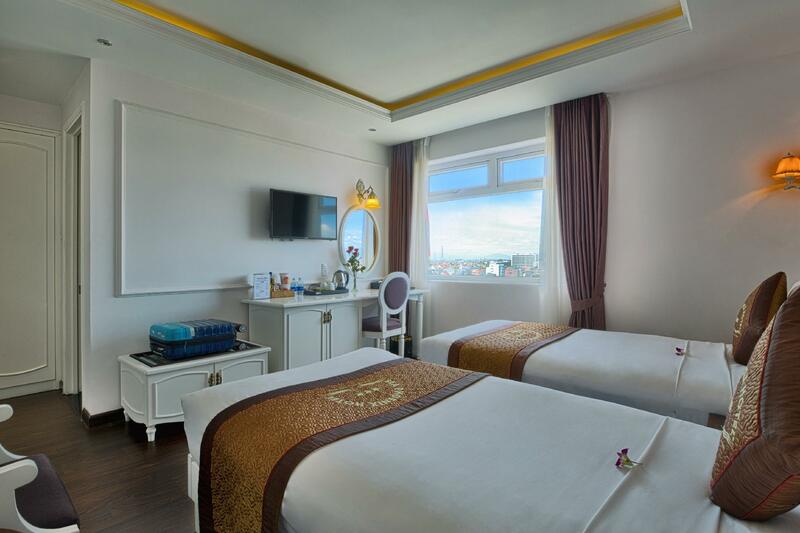 Sea Phoenix Da Nang Hotel offers impeccable service and all the essential amenities to invigorate travelers. 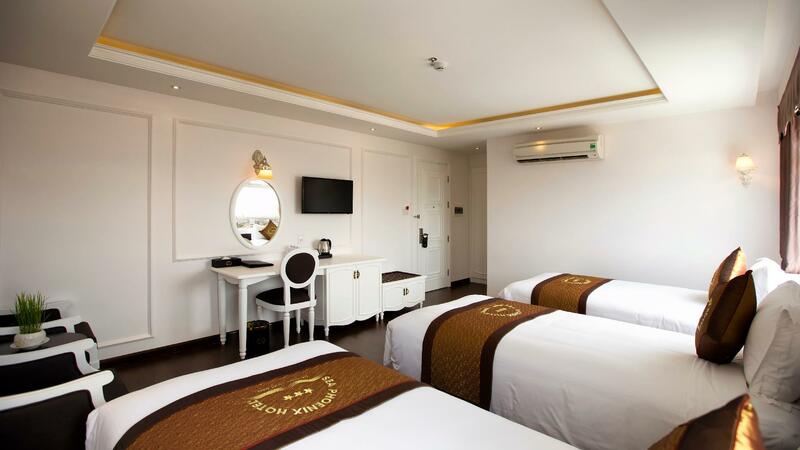 The hotel offers access to a vast array of services, including 24-hour room service, free Wi-Fi in all rooms, taxi service, ticket service, 24-hour security. All guest accommodations feature thoughtful amenities to ensure an unparalleled sense of comfort. The hotel's recreational facilities, which include dart board, hot tub, fitness center, golf course (within 3 km), outdoor pool are designed for escape and relaxation. Whatever your reason for visiting Da Nang, the Sea Phoenix Da Nang Hotel is the perfect venue for an exhilarating and exciting break away. "Very clean and well appointed room,s, good breakfast, great..."
Children 6 – 11 years old will be charged USD 7 when using existing bedding. This is my 2nd time staying here. The hotel is clean, nice, super friendly and supportive staff. A bit walking distance to public beach but its managable. Breakfast is great and the kids loved the swimming pool. Dear valued guest, Thank you for choosing our hotel for your trip. We're really happy to hear that you enjoyed your wonderful trip to our hotel. And we are really grateful if you take your time to write your good comment on TripAdvisor. It is a big motivation for our staff will improve the service and will make it get better. We're looking forward to welcoming you again! Best wishes to you! Breakfast was good. 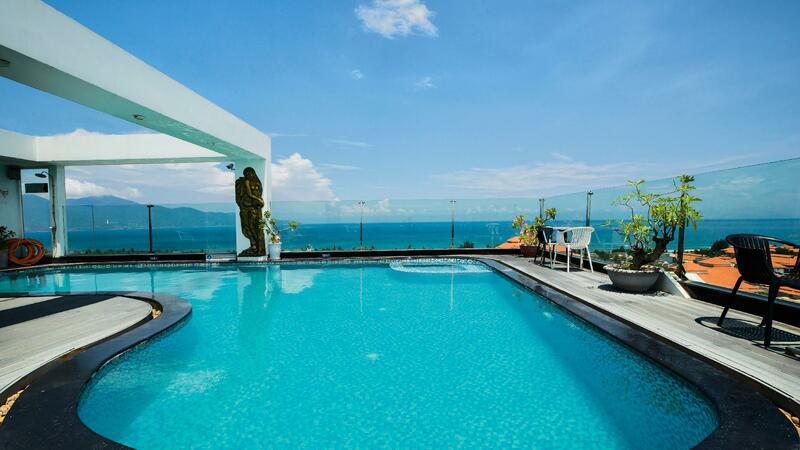 Pool is at top floor with great views. However, it’s a bit far from city centre so have to arrange your own transports. Limited restaurants nearby but the area is quiet and feel safe to walk around at night. The receptionist barely spoke English but the staffs were friendly overall. Dear Mr/Ms. Kao, Thank you for your comment The first, we are so sorry when our location doesn’t bring for good memory on your trip. Also, we're really happy to receive your good review to our staff. It is a big motivation for our staff will improve the service and will make it get better. Hope that we can serve you again in the near future with better service and very helpful staff. We're looking forward to welcoming you again! Best wishes to you! Excellent value for money hotel which is just beside all the 5 star beach resorts. It is a mere fraction of the cost per night, but you get to walk right thru to the beach. The view from my room was also excellent as they gave me a high floor. Very clean, proper and decent hotel for the price. Would come here again any time. Dear valued guest, Thank you for choosing to our hotel for your trip. We're really happy to hear that you enjoyed your wonderful trip at our hotel. And we are really grateful if you take you time to write your good comment on trip advisor. It is a big motivation to our staff will improve the service and will make it get better. We're looking forward to welcoming you again! Best wishes to you! Lovely staff, nice rooftop pool and a good breakfast selection. Room with sea view and good in house cleaning. Because we stayed more then 5 days we got a complimentary bottle of wine and a fruit plate. We stayed here for 3 nights and really enjoyed the short walk (about 10 mins) to the beach. The rooftop pool is very nice and half covered, so you can still go up when it rains. There is also a pool table by the bar. The breakfast buffet was okay, but had less Western options then we had experienced at our previous hotel. They still had eggs, fruit, veggies, toast and coffee, so that was fine with us! The staff was very friendly and helpful, but relatively low English. Overall, would recommend. We were a family with young children traveling to Da Nang for holidays. The hotel was at a great location, very impressive views to the ocean. Rooms were spacious, clean, services was good. Very good breakfast in term of variety. The swimming pool was the highlight of our stay, nice and clean, suitable for kids. The only down side was that you have to travel about 1km to public beach. The Rooms are better than you may expect from the entrance,. This hotel has a 3 star entrance, though the rooms are as good as the ones a t a 5 star hotel. The mattress, pillows, and duvet are SO COMFORTABLE. The service is very good, really high standards od quality. The breaksfast that is included is very complete, you can find both wetsern and asian options. The location is just bu the beach, and close to hood restaurants. The location of the hotel is nearby the beach and easy to get around the city by taxi . The staffs are very friendly and very helpful at all time . The breakfast was good and hotel is clean and view from swimming pool is awesome! First time visiting Vietnam and Sea Phoenix wasn't a bad choice since it's conveniently located near the airport (around 15 minutes tops) and near the beach coast. Things that were great about it: Friendly staff. Spacious room. Great pool view but not that big if you have a lot of people going. Located near the beach coast. Breakfast delectable. Things to watch out for: Water coming out of shower head was weak. Cleaners tend to forget to refill items in the room after cleaning. Gym is quite run down. Fridge was emitting a very foul odour (no idea why but it was really gross). Dear valued Guest, Thank you for your comment. We're so sorry to hear that you did not enjoy your trip to our hotel. We will send your comment to relevant department to improve the service and will make it get better. Once again, we apologize for any inconvenience. We're looking forward to welcoming you again! Best wishes to you! Rooms are dated and very stuffy - we needed to air/ventilate ours. Besides that, the rooms aren't soundproof as we could hear all the loud honking from the highway, which affected sleep quality. The location's pretty remote but not an issue if you're willing to rent a bike/Grab everywhere as the city's pretty small. Housekeeping was very sloppy, they didn't replace towels, thoroughly check the room for trash and there was still sand in our room on our last day. The staff have poor command of English but try their best to help - spent the most of our trip showing them pictures to show what we were referring to i.e. the safe, the sink. Facilities-wise, the breakfast looked unappetising so we didn't even bother, and the gym is completely non-functional. Wouldn't recommend. Dear valued guest, Thank you for your comment The first, we are so sorry when our location don’t bring for good memory in your trip. Also, we're really happy to receive your good review to our staff. It is big motivation to our staff will improve the service and will make it get better. Hope that we can serving you again in the near future with better service and very helpful staff. We're looking forward to welcoming you again! Best wishes to you! Put this hotel in your list, for a 3* I prefer to stay here, compared with other hotels in Da Nang. Dear Mr/ Ms. Reynaldo, Thank you for your comment. We're so sorry to hear that you did not enjoy your trip to our hotel. We will send your comment to the relevant department to improve the service and will make it get better. Once again, we apologize for any inconvenience. We're looking forward to welcoming you again! Best wishes to you! Extremely nice staff, clean, good location. breakfast is quite better than expected. shower rain strong and better. Dear Nasir, Thank you for choosing our hotel for your trip. We're really happy to hear that you enjoyed your wonderful trip to our hotel. And we are really grateful if you take your time to write your good comment on tripadvisor. It is a big motivation for our staff will improve the service and will make it get better. We're looking forward to welcoming you again! Best wishes to you! the location of the hotel is a little far away from the central of the beach, but the pricing is good, room is clean, and tiny but nice pool on roof top. Dear valued Guest, Thank you for your comment. We're so sorry to hear that you did not enjoy your trip to our hotel. We will send your comment to the relevant department to improve the service and will make it get better. Once again, we apologize for any inconvenience. We're looking forward to welcoming you again! Best wishes to you! Dear Mr/Ms. Jisun, Thank you for your comment The first, we are so sorry when our location doesn’t bring for good memory on your trip. Hope to have a chance to serve you in the near future. Our staff will try to improve the service and will make it get better. Once again, we apologize for any inconvenience Best wishes to you! Enjoyed staying here. Near beach and nice rooms.